Hernando County Florida needed to create a 3-D model of the City of Brooksville and turned to the Southwest Florida Water Management District office for help in getting the estimated building heights. The Solution – Using LIDAR & LP360 to generate building elevation data. 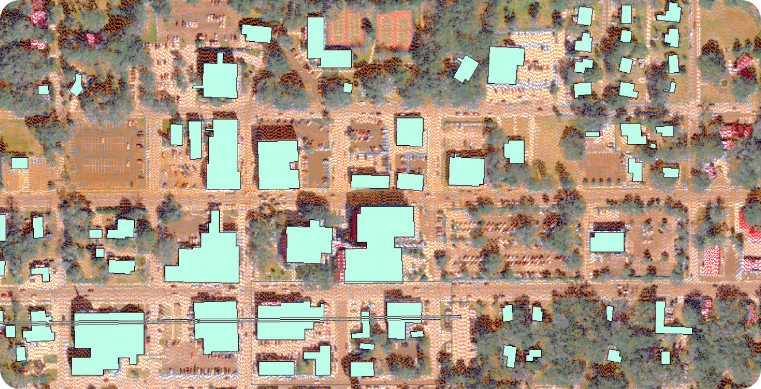 Because of LIDAR’s 3-dimensional qualities it is the perfect data source to extract building elevation information. This point cloud characteristic plus the building extraction tools in LP360 also serve to provide valuable input for floodplain analysis. Figure 2 - LP360 building filter and extraction tools. 3. We visually inspected polygons between 200-800 sq. ft. to make sure that they were buildings rather than small sheds, dirt-floor structures, parked tractor-trailers, flat-topped shrubs, etc. If it is close to 0 (+/- 0.3’; the error in the LiDAR), then we take the average + 0.75’ and use that as the finished floor elevation. If the difference is GT 1’, we take the highest ground elevation +0.75’ and use that as the finished floor elevation. If the difference is really large, we try to determine whether the house is on stilts by looking at the difference between the roof and highest ground elevation. 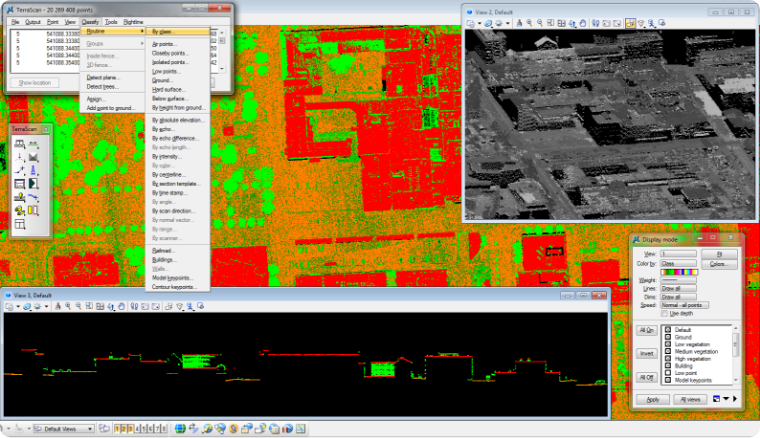 Then we look at the LIDAR data with the LP360 profile tool and look for a deck, balcony, etc. to estimate the floor elevation. We found a high correlation between the surveyed finished floor elevation and the average ground elevation around the dripline. With this information we were able to not only estimate mature building heights but we were also able to infer the finished floor heights using LP360’s building filter extractor. Using it as the best estimator for finished floor elevation, we can now add another level of detail to our floodplain analysis to determine not only if a property is located in the floodplain, but if the finished floor is in the floodplain as well. We are convinced that LP360 is a tool we have to use to provide our desired level of analysis services. The SWFWMD is one of five water management districts in Florida; we serve ~ 5,000,000 people in our 10,000 sq. mile service area. Our four-part mission is to ensure an adequate and safe water supply, provide flood protection, protect natural water systems and provide supportive data collection and analysis efforts.